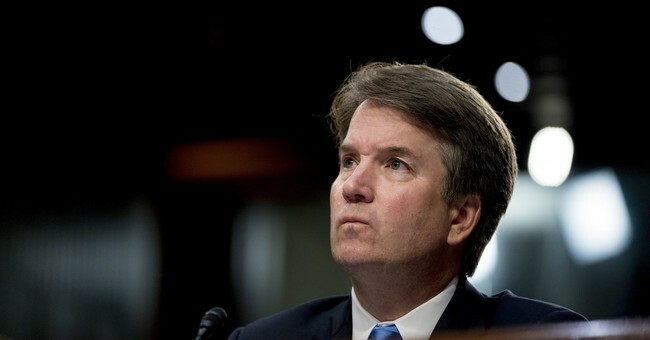 Brett Kavanaugh has been sworn in as the next Supreme Court Justice, but, without a doubt, the procedure that led up to this final vote was more tumultuous, angrier and witnessed more deception, lies and conspiracy to dismantle the process, destroy lives and divide America that any previous event in Congressional history. As a result, the nation has been changed. To what extent, we don’t yet know. Like watching a day-time soap opera, Americans were immersed in this sickening display of raunchiness, with most hoping it was pure fiction. But sadly, the Kavanaugh experience was not fiction. It was real. Recently on the American Pastors Network’s “Stand in the Gap Today” radio program, we examined and diagnosed what we’ve seen. Like a medical professional, we had a chance to peer deep into the heart and soul of the modern American culture. What did we learn? Are we healthier or sicker? Is the Church in America stronger or weaker? Above all, can these wounds be healed? The current cultural trend is not some isolated anomaly but accurately reflects the broadest measure of the American society. I will go one step further to say that because the Senate—as the most reflective body of the nation—this page in history was, in fact, descriptive of our culture. If I was the doctor looking at the test results after a thorough examination, I would report that our culture is indeed very sick—and not only our senators or the political process. Rather, we are at odds over basic values: life, decorum, respect, ethics; truth, deception, justice, God, absolutes, duty, responsibility and much more. We are not divided over simply minor policies, but we are deeply divided at the most profound levels, distrusting of one another, angry and full of hate. And we are not just angry with one another, but angry at God. There is no fear of God, no remorse for sin and no shame. On one hand, the Kavanaugh experience was deplorable and sickening. Certainly, it gave the entire nation an opportunity to witness an out-of-body experience, in that we were able to see, in all its lurid details, a very sick patient—the American culture—lying on the operating table before the entire world. We saw the doctors and the practitioners fighting with each other over the surgical tools, lights and the experts. Worse, we witnessed some of the practitioners who appeared set to destroy the patient—Kavanaugh and his family, for sure—and the entire political process. Violating their Hippocratic oath to cause no harm, many of these practitioners performed their deathly horrors on the patient. On the other hand, however, the Kavanaugh experience provided the opportunity to watch the elected practitioners, their accomplices in the Senate and, to some degree, the American citizen look in the mirror and to see a dramatic contrast. Some are sickened by the recent debacle and will no longer support the Left. Both sides are now perhaps more motivated to set things right in a culture gone very wrong. While Christians and conservatives may feel we’ve “won” by having Kavanaugh on the bench, it is disputable what has actually been “won”—neither side may realize what we’ve won or lost. Where was the Church in all this? And where is it now that the dust has settled? Stronger or weaker? We attempted to answer this question about the culture, but what about the Church? More vibrant and relevant or more lethargic and irrelevant? One thing is true: The seeds of healing were not planted because the cause of the despicable actions the nation witnessed is spiritual. Neither the Church nor the secular media has spoken to that root problem. Short of a small number of Remnant Christian leaders, the Church has been silent and is, therefore, irrelevant in providing a solution. Nearly no one even remotely offered biblical counsel for what was likely one of the most teachable moments in our nation’s history. Can Our Sick Nation Be Healed? Whether one examines our nation from a societal perspective, a governmental perspective, an ideological perspective or a spiritual perspective, or whether one looks at the state of the individual, the family, the government or the Church, the state of society highlights the reality that the patient is sick. Our culture is sick, and our nation is divided. We are no longer “one nation under God.” We clearly are not a nation that believes “in God we trust.” We are not a nation that rallies around the Constitution and the principles of a representative government. So like the doctor in the operating room who just performed the endoscopy into the sick patient and is forced to state the facts, we can attempt to do the same for our nation. The evaluation of the Great Physician Jesus, though, is the most critical. So can our sick nation and culture be healed? Consider a person with a serious illness who knows that medicine will alleviate the symptoms or even cure the ailment but refuses to put the spoon to his lips. Likewise, we as a nation are very sick—in fact, sick unto death. We are like Israel during the days of Jeremiah, Ezekiel and Isaiah. The culture is evil; the Church is lethargic, silent and idolatrous. Yes, healing is possible, but without repentance and a return to God, there can be none. Until the narrative of the Church and national leaders begins to focus on the spiritual nature of our sickness—and, specifically, on Jesus Christ and biblical truth—healing will not come. And separated by our own choice from the One True Healer, the prognosis is grim.